To keep welders comfortable and safe, Miller Electric, Appleton, WI, will bring to market these new Classic VSi and Classic FS #10 2x4 flip-up welding helmets, the newest additions to its Classic series. 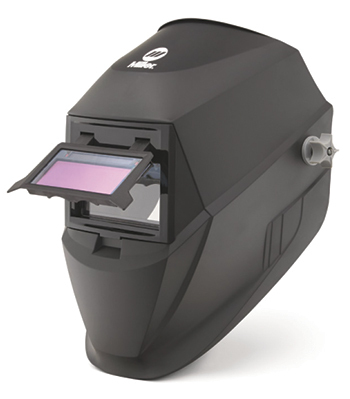 The helmets provide a cost-effective alternative to welders who have previously used passive lenses, and who seek the performance and flexibility of an auto-darkening helmet. The flip-up design allows the welder to grind and carry out other tasks without raising the welding helmet or switching over to a dedicated grinding mask. Miller also will introduce a new hard-hat option for its powered air-purifying respirator, which has been paired with the company’s Titanium Series auto-darkening welding helmets. The hard-hat option is designed for welders working in construction, manufacturing, pipelines, shipbuilding and other industries where hard-hat use is required.